The first image pack involving Hearthstone: Heroes of Warcraft by Blizzard. 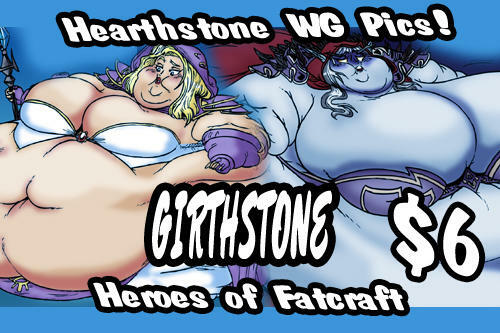 Featuring all weight gain images of Jaina Proudmoore, Sylvannas Windrunner, Elise Starseeker, and more! All images are hand drawn and colored in Photoshop. -2 Pictures with Jaina Proudmoore. -1 Picture of Bloodsail Cultist, Blackwater Pirate, and Bloodsail Raider. *Special thanks to Bonebell, & Mxyulup for their contributions in getting this pack released. And thank you to everyone else for your continued support!